I’m so happy to be back in Texas for the holidays! I always look forward to coming back home for so many different reasons! Of course for spending time with my family but to catch up with my hometown friends as well! That is exactly what I did a few nights ago. I met up with some of my old friends at Pappadeaux Seafood Kitchen for a night of catching up, laughs, and good eats! 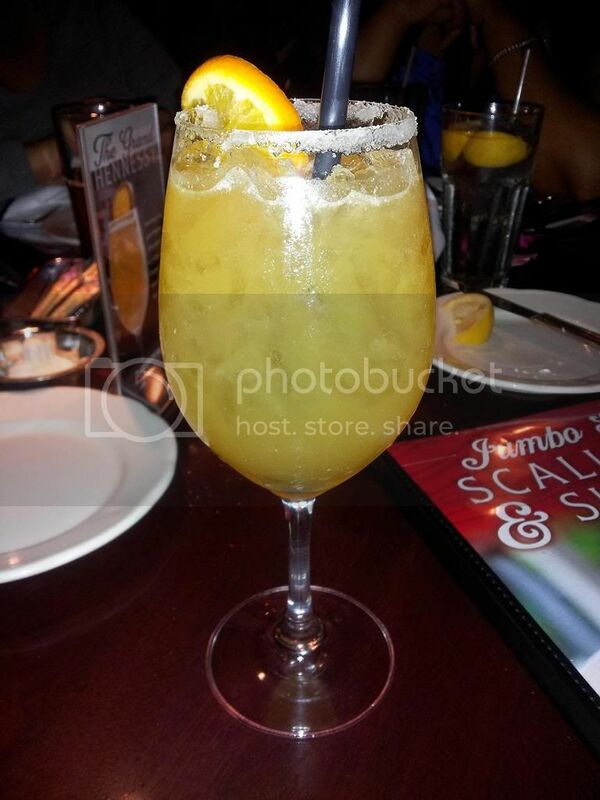 When having girl talk with old friends, what better way to do it but with good drinks, right?!?!?! I had The Grand Hennesy which came highly recommended by our waiter. It is a handcrafted cocktail made with Hennesy of course, a sugary rim, and a slice of orange. It tasted like sangria but I loved it nevertheless! 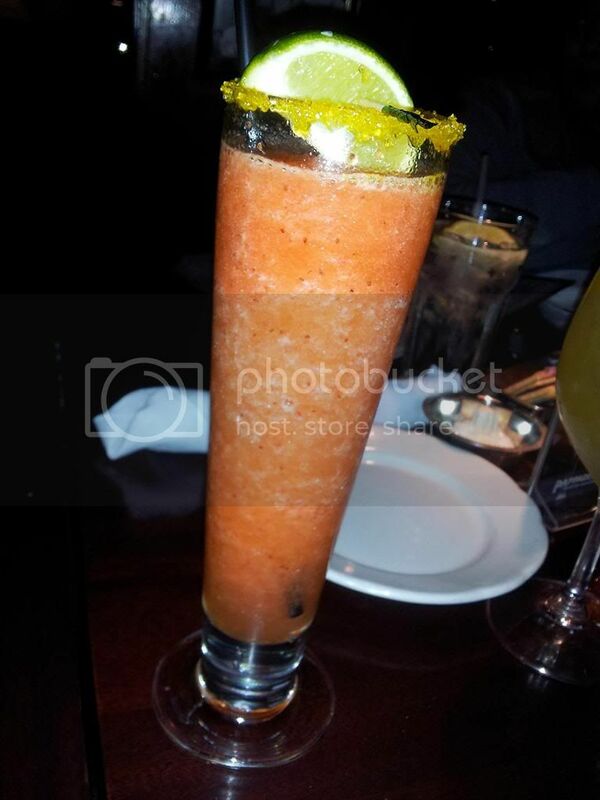 My friend Andrea had the Strawberry-Mango frozen margarita! She enjoyed it so much, she had two! The food was just as I remembered it, DELICIOUS! 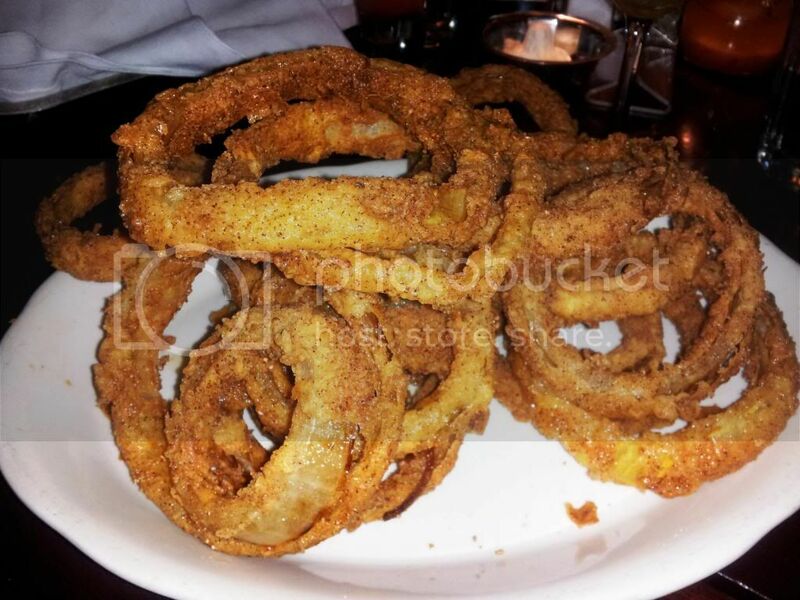 For a starter we shared the complimentary bread and these golden onion rings that were seasoned and fried to perfection! I don’t normally care much for onion rings but these hit the spot plus they had a nice little kick which I always LOVE! 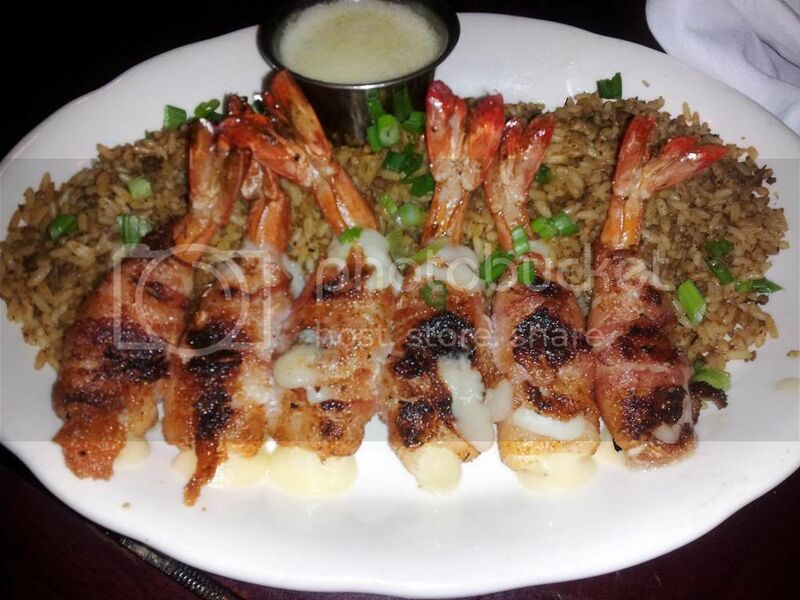 I had this fabulous looking dish, The Jumbo Shrimp Brochette! 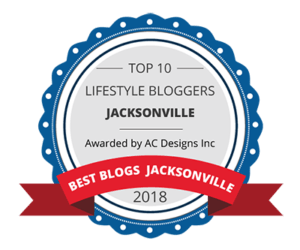 This was 6 chargrilled jumbo shrimp wrapped in bacon and stuffed with Monterey Jack Cheese and a sliver of jalepeno, served over a bed of dirty rice…….I die! 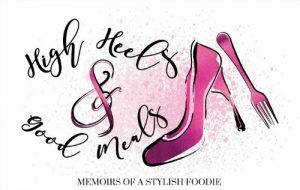 It was AMAZE-BALLS!!! My friends Andrea and Toni had the fried crawfish tails and fries and a loaded baked potato that I failed to get a picture of. They told me it was a little spicy but good! We had a wonderful night and I am so happy I had the opportunity to meet up with these lovely ladies during my holiday vacay. 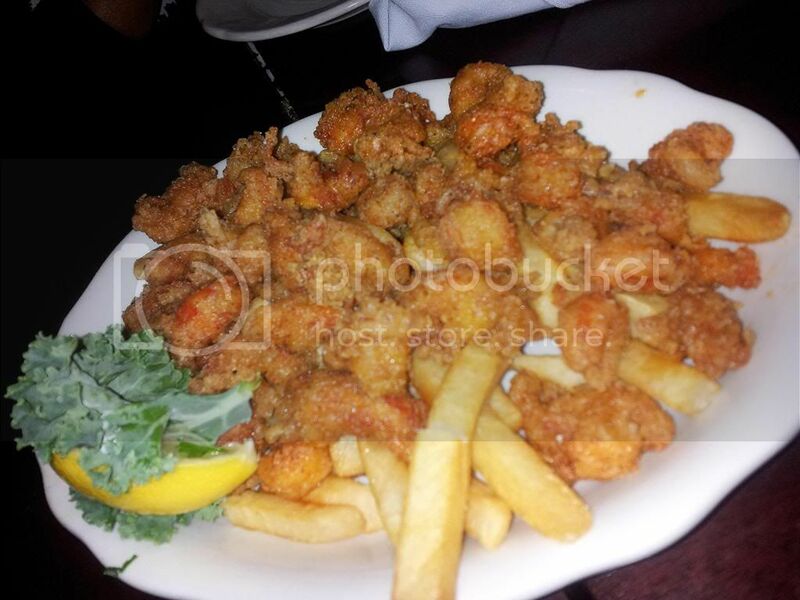 As for Pappadeaux, it is an absolute must try if you’ve never been! There isn’t a Pappadeaux in Jacksonville so I jump on the opportunity to visit whenever I’m in a city that has one. 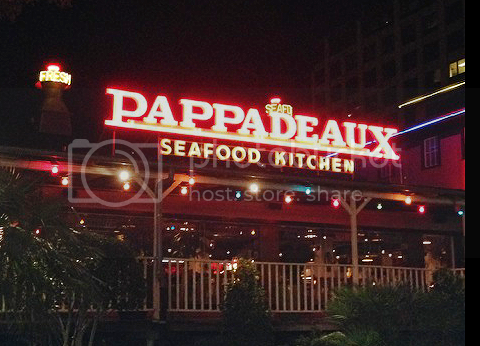 If you’re a seafood lover like me, you’ll love Pappadeaux! Try them and thank me later!!! That’s all for now dolls, I’ll be back soon! Awwweee you were in my neck of the woods! I'm glad you had a good time Triece! Had a great time seeing you girlie!!! So glad I found your blog!! I will be following faithfully now!!! !